I am not much of a cupcake fan and I will probably never comprehend why people pay so much for such a tiny plain cake if not for the fancy decorations on it. Nevertheless, mini cupcakes were the very first gift we received from guests to our new home. 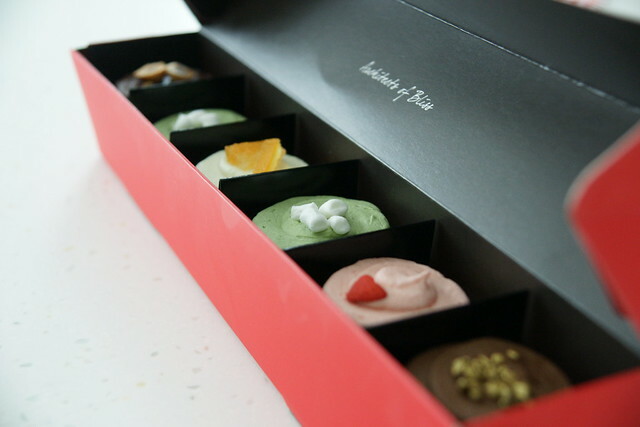 It was purchased at the mooncake carnival at the basement of Takashimaya and almost expectedly, it was packaged in a nice long gift box. With me as the exception, everyone else ohh and ahh over the different cupcake flavours.